A lot of so-called “movement” conservatives dislike Donald Trump because he isn’t conservative in their view. Some of them have sadly concluded that much of their own base is not as well, being much more open to things like protectionist trade policy than in years gone by. Their focus has been on working class voter, but another chunk of the Republican electorate, namely upscale metropolitan Republicans, is also moving away from some traditional conservative positions. These middle to upper middle class Republicans have little interest in yesterday’s puristic version of reducing government spending. Instead, they actually are clamoring for more of it in many cases. 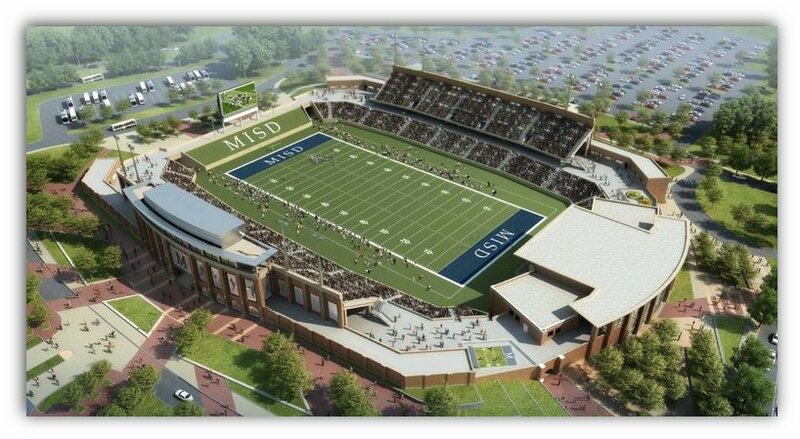 We see this illustrated by an article in the New York Times about a planned $63 million high school football stadium in McKinney, Texas, a north Dallas suburb. Voters in McKinney, Tex., have given the go-ahead to spend nearly $63 million on building a high school football stadium after months of contentious debate in the suburb north of Dallas….The McKinney project has frequently been compared to the $60 million high school stadium in nearby Allen. With seats for 18,000 people, the Allen stadium has nearly the same capacity as Madison Square Garden. Another school stadium under construction in Katy, outside Houston, will have 12,000 seats at a projected cost of more than $62 million. McKinney, with a population of around 150,000, is 65% Republican. A $63 million football stadium for a high school team is practically the definition of a boondoggle to traditional conservative thinking. Yet it was put to a referendum and passed with two-thirds of the vote as part of a $220 million schools spending plan. This shows the change in places like McKinney that ring America’s major metro areas. These are generally solidly Republican but increasingly are taking the view that they want more nice stuff, not just low spending and taxes. These places generally do have low taxes, and certainly the populations are not indifferent to tax rates. But they are not interested in low government spending for its own sake in the way that the Tea Party was. I have written about this extensively with regards to Carmel, Indiana, one of these types of cities north of Indianapolis. That city has undertaken a vast series of public improvements in everything from streets to sewers to parks to downtown redevelopment to a $175 million concert hall. This spending provoked major acrimonious disputes between traditional fiscal conservative Republicans and these new school ones. The latter solidly won in the last election and opponents of the current regime today mostly seem to make arguments based on process points rather than substance. That’s because the improvements are extremely popular. I’m not certain major elective projects like a pricey football stadium are actually wise expenditures. But precisely because they are “nice to haves” they particularly illustrate this new suburban Republican tendency towards desiring high amenity environments and using amenities as a strategic tool to compete with other cities. The bottom line on this is that yet another Republican constituency, one you’d like associate more with Kasich than Trump, is also diverging from traditional Republican orthodoxy on government spending and service levels. This will have significant implications for state level politics in many places. This kind of thing might break the rural-suburban Republican alliance. Clearly the low-tax, low-service race to the bottom is seeing limits. I think we’re actually seeing the beginning of a great political reset the likes of which we have not seen since the Dixiecrats broke for the Republican party mid-century. It’s getting harder to tell what the party’s rank and file really stand for anymore. The Republicans are feeling it more right now, but the Dems are catching up and I suspect they will have major upheaval soon as well. I think this also comes down to being opposed to spending on other people, but being perfectly happy when it’s perceived to benefit your community and, really, only your community. Just another example of people economically segregating themselves so that they can have their nice things but not have to share with people who “didn’t earn” or “don’t deserve” them–people who often look very different and come from very different backgrounds than the people currently in the community. Same kind of idea as people not wanting affordable housing or even market-rate multifamily housing built in their cities and neighborhoods, because “those people can move here when they can afford to pay as much as I do to live here.” I don’t think this is a mindset that conservatives have a monopoly on, though I do believe they’re more guilty of it in general. You mean exactly like the Central Park Conservancy or any number of others of the huge amounts of urban spending and projects that are typically touted in the urban mediasphere? To some degree, yes. Like I said, even many liberals are guilty of explicitly or implicitly opposed to allowing people who “don’t deserve” to live in their neighborhood. I think conservative communities are more willing to make those kinds of statements explicitly, and that in the case of liberals that kind of spending is at least otherwise in line with their values (I could go on…). And I think a lot of the move toward more conservative fiscal policy can be explained by the opening up of benefits to historically oppressed populations, so again it seems in line with that same impulse. At some point in the near future these sort of Republicans are going to merge with the Rahm Emanuel Democrats, and where they settle on the finer points of ideology is mainly a matter of whose house they end up moving into, so to speak. It seems unusual only if you have absolutely zilch class orientation in your view on politics. Suburban efforts to build out amenities is the public equivalent of expanding the membership rolls of the local country club, and in practice ends up being essentially the same. Witness the incident last year IN McKinney over the use of a gated community pool by one of it’s own tenants, who had the misfortune of inviting and promoting his party to black friends. It is no surprise to me that the same community where old white dudes sat idly by while a trigger happy cop was grabbing young black teens in swim suits is also the same group of dingbats who voted in a huge stadium for use exclusively by their children in their community. Comparing these sorts of public works to the kind being implemented in major urban area’s is facile. When a public park gets built in Minneapolis, Milwaukee, or other major urban area’s, it’s usage is not monitored nor policed by a gated community nor walled off for use only by students enrolled in a specific district. Nor are quality of life amenities on par with the sort of public works that focus on affordability or economic stability, such as multi family housing, homeless shelters, libraries, or non athletic school capital projects. Saying that because suburban Republicans are spending money on capital projects means they are “changing” ignores that Republicans have ALWAYS been about public spending, merely spending that is limited and targeted to those who they feel deserve it. Being from Texas, this doesn’t strike me as political at all but rather religious. Football in Texas is religion. If you haven’t seen Friday Night Lights or Varsity Blues that might point you straight towards background material on this arms race that’s been raging in Texas for decades. Have you seen Jerry World? I’m surprised actually at how many of my colleagues were surprised at this stadium. Seems like business as usual for me and not really a bellwether for politics. It wouldn’t have surprised me at all back in high school in the 1990s either. Fortunately my school was good at other sports like Soccer and Track so we didn’t have to focus on football too much, but when my cross country team won state senior year for the 5th time in a row the announcement of it was cut short because they spent too much time telling people how to get to the football game that night. Perhaps it was the one they won that year. Even in Indiana, where HS basketball used to be the state religion, there is only one example of an over-the-top arena. And The Wigwam in Anderson, from that city’s GM boomtown era, hasn’t been used in years. No, I think this stadium really reflects a combination of “the end of fiscal conservatism” and “the country club effect” noted above. Actually, the Wigwam was only the second-largest high school gym in Indiana – the one in New Castle is larger. 13 of the 14 largest high school gyms in the country are in Indiana, At its peak, Hoosier Hysteria was indeed an example of same sort of home town bossterism and quasi-religion that is seen with Texas football. People are willing to increase taxes for those types of things because they fulfill an emotional/psychological need, similar to the building of cathedrals in the Middle Ages, even though they are otherwise against government spending. The Wigwam shut down years ago. Muncie’s Fieldhouse might have to be shut down in a few years because of structural deficiencies. A lot of these large gyms were built in industrial communities whose economies have been decimated over the last 20-30 years, and they can’t afford to keep the gyms up anymore, not that there are people to fill them anyway. I’m not sure this is a question about the nature of conservatism as it is about the nature of competition. Three of the four $60 million-plus high school stadiums (all of which are part of larger bond issues approved by taxpayers, or in one case (Frisco) with the help of Jerry Jones) are in the Dallas suburbs, while one is outside Houston. Of the three in Dallas, they are in adjoining cities — Frisco, Allen and McKinney. And, as it turns out, the city of McKinney is located within the borders of all three districts. Like Aaron brought up earlier about Carmel (my hometown), there are suburbs who have realized that a future as a fairly accessible water-and-grow housing bedroom community is one that is very limited. In fact, in Hamilton County (where Carmel is located) there is open discussion that a new house should be anywhere from $250,000 to $450,000 to be worth the public strain on services. So Carmel for years has been building itself up as its own community with its own amenities, and a result the neighboring burgs of Westfield, Noblesville and Fishers have tried to build up their amenities to compete for corporate presences and high-end individuals while all still have the space to fill. These are all rock-ribbed Republican communities, but they understand the concept of putting money into the house because the neighbors just one-upped them. Same thing is happening in McKinney, Frisco and Allen. Like Hamilton County, Ind., this is a fast-growing area that tends to be a spot considered by people transferring from out of town. You’ve got to have some “wow” projects to get on their radar. While it would seem a football stadium might be off-putting, it’s just the idea that the community is highly supportive of its schools, and that everything in them should be excellent, that will be attractive. Plus, these areas are still growing fast enough that the tax impact of these bond issues is relatively slight compared to an area already built out. Also, one other thing to consider on the stadiums — except for Allen, which only has one high school, these are facilities build to serve multiple high schools. Plus, in Frisco’s case, the Dallas Cowboys.